Cloudme is excited to announce the launch of the Foodir mobile app on iOS and Andriod. Foodir application is a comprehensive directory of restaurants and cafes, sweets and bakeries. 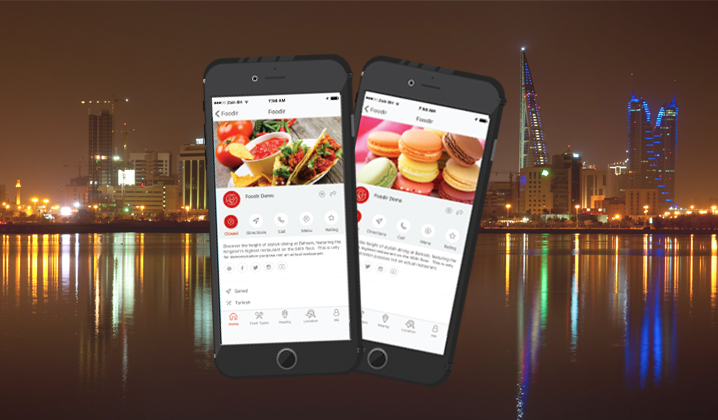 Foodir is the only mobile app that has over 1,300 restaurants listed. Foodir is 100% free to download and use to search places to dine-in, dine-out and place orders for home delivery or catering. Easy search by area and location such as city, mall etc. Foodir App and the backend restaurants management system was designed, developed and launched by in-house business and technical team. This entry was posted in Mobile App. Bookmark the permalink.